This page contains BCPA Membership related forms and links to online membership application/renewals/payments for the 2018-19 season. We hope you have enjoyed the programs and services the BCPA provides. We also hope that you will renew your membership to continue supporting the activities that have made the BCPA one of the most respected and progressive piping, drumming and pipe band associations in the world. If you have an existing membership and you want to update the email address for your membership, please login with your current email address and then in the Profile change it to your new email address. Please do not create a whole new membership just to change an email address as BCPA’s IT personnel then have to manually merge your existing and new membership records to avoid duplicate records. If you would like to apply for new membership online you can do so using the above link. If you are experiencing technical difficulties with online membership application or renewal or with changing the email address associated with your BCPA membership, please email wildapricotsupport @ bcpipers.org (remove the “spaces” around the @ symbol before sending). BCPA also provides a hardcopy form (at the link below) to apply for a new membership or to renew your existing membership. Rebate for Membership in a Local Piping Society BC Pipers’ Association encourages you to support the activities of your local piping society. Within the BCPA’s competition sanctioning jurisdiction there are four such local piping societies acknowledged by the BCPA: Kelvern Celtic Society (BC Interior), Vancouver Island Pipers Club (Vancouver Island), Washington Pipers Association (Washington state), Oregon Pipers Society (Oregon state). Information on rebates is now available on the back of the membership form. Bands are required to use the BCPA Pipe Band Roster Form which must be signed by the appropriate band official. Submitted information not in this format will not be accepted. Per BCPA Pipe Band Competition Rules, band rosters must be submitted to BCPA by March 1 each year and are to only include playing members (see the Band Registration & Roster form for more details).If new players are added or existing players removed during the season, an updated roster must be provided using the above form along with a completed Release/Transfer/Add Member form below. Note that proof of a player’s release from a band outside the BCPA jurisdiction of BC, Washington, and Oregon is not required. Transfers between bands within BCPA must use the Release/Transfer/Add Member form. Both the releasing and the gaining bands must provide updated rosters to BCPA. Some BCPA sanctioned Highland Games have commented on what appears to be “padding” of rosters to obtain additional admission passes. If this happens, bands could be charged admission by the Games organizers for members on the roster who do not compete. BCPA sanctioned Highland Games are utilizing the rosters on file with BCPA as of their Highland Games’ entries closing date for issuance of admission passes. The Pipe Band Member Release/Transfer/Add form has been revised slightly for 2016/17 to clarify some information. 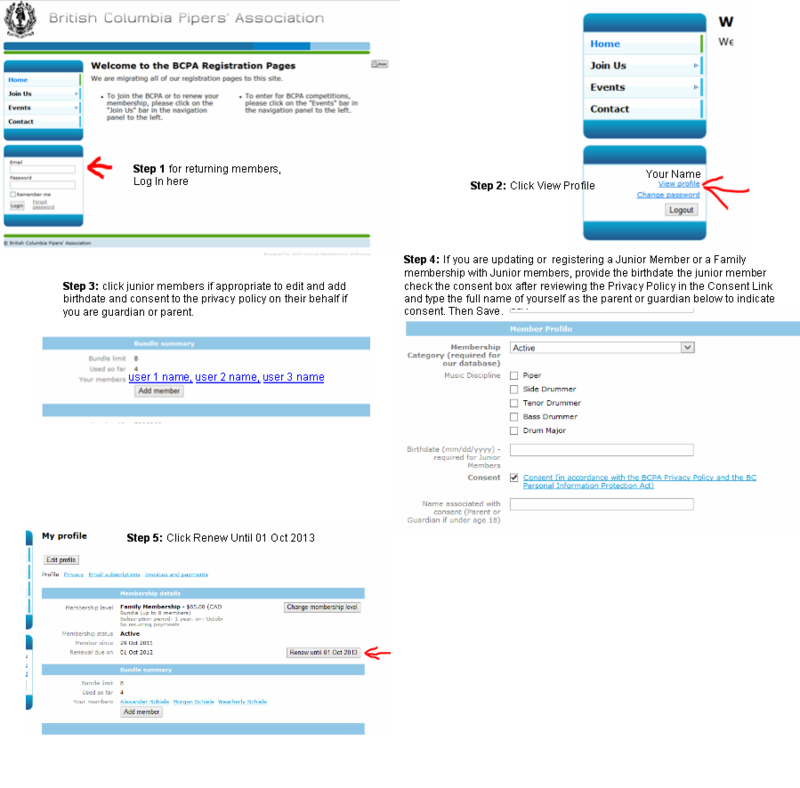 The form reinforces that the releasing band is still required to submit the Release/Transfer/Add form and an updated Pipe Band Roster form to the BCPA Membership Chair.